Wireframing is the most important stage of the web designing process, where the skeletal frameworks of the websites are created. It is the arrangement of elements and planning of a layout according to the way you want your website information to be processed by the users. It represents concepts and ideas to make up a functional website or app, that establish relationships between its imagery, navigation and other functionalities. Wireframing analyzes multiple perspectives and previews various proposals before implementing any idea. Visualizing a solution isn’t the actual goal of wireframing, but brainstorming to find out the most effective one is. 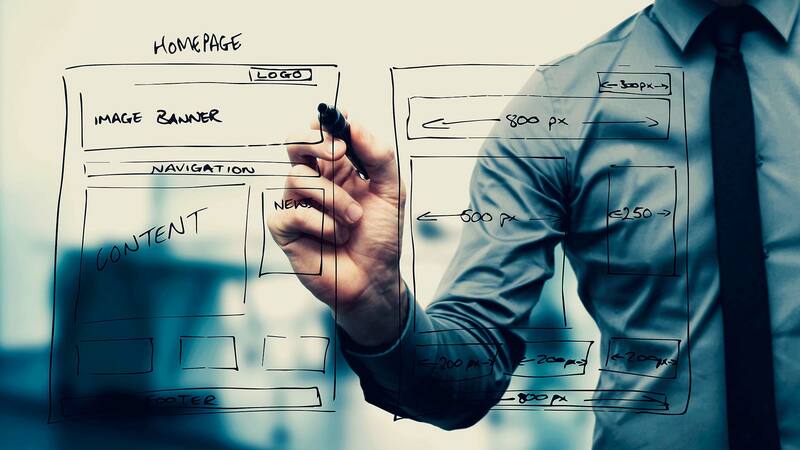 Although there are tools that help in effective wireframing, the job actually requires a frame of mind that churns out innovative ideas to develop a great website or app. Be it created as a sketch on paper or built as a high-fidelity prototype, it’s important to ensure that your wireframes are driving the designs in the right direction. Before creating wireframes for your website, visualize what you want to achieve through it. Adding and modifying features won’t work until it corresponds to your desired goal. If you get a great idea and immediately rush into coding it, it would probably affect the overall functionality of your website. Thus, an objective oriented wireframe helps you greatly in analyzing different problems, making changes according to them, avoiding rework and triggering new ideas. Wireframing aims at communicating an idea, so make sure it is simple and understandable. Also, it is important to have feedback from developers, designers, architects, project managers and others. Considering multiple perspectives leads to more concrete and polished ideas, directed towards the objective. While designing a website, we often get carried away by the latest trends as well as elements that make the website eye-catching. However, aesthetics must not interfere with the functionality. The initial framework must focus on the functionality and usability of the websites and deal with color, typography, contrast and other such elements later. Usually wireframes do not focus on details but even if you want to fine tune it with creative wordings and include some in your final product, keep your content limited. The amount of content and also the number and length of links in the navigation to be added to the page must be carefully analyzed. Fonts, graphics and images of accurate size should be used and only that much content should be added which goes with the flow. Although wireframing involves a lot of brain storming, discussions and incorporating changes, setting deadlines is also an essential requisite. Initial wireframing could stretch to several days but follow up and review meetings can be done in a shorter period of time or remotely. This ensures timely delivery of the end product. Another mantra of designing effective wireframes is to consider the user’s point of view. User experience matters and it is essential to focus on the convenience of the users. It is always advisable to host your wireframes on your own servers, taking care of security and personalization. This is important, especially, when you are dealing with confidential stuffs. One way could be exporting the files as PNGs and then embedding them within simple HTML files. This makes sharing and updating easier. Wireframes serve as blueprints for the developers and to make the framework easy to understand, annotations can be used. Annotations refer to any instructions or notes written to clarify the elements. Certain tools also have the feature of turning off the annotations when not needed. Selecting a tool that lets you run a user test and import real data is advantageous. It makes the stakeholders more involved in reviewing the wireframe which contains real data. It allows you to evaluate interactions, overall experience and features. An app or website which exhibits an overall consistency in its functionality are always preferred by users, as navigation is convenient and easy with them. Thus, while creating wireframes, repetition of group elements is always advantageous.